By Chris Williams: Alex Ariza, the strength and conditioning coach for WBO welterweight champion Manny Pacquiao (53-3-2, 38 KO’s), sees the November 12th fight between Pacquiao and 38-year-old Juan Manuel Marquez (53-5-1, 39 KO’s) being a fairly easy fight for Pacquiao. Indeed, Ariza, who seems to be something of an expert on fights involving Pacquiao, believes Marquez won’t make it past the 3rd round. It’s interesting how Ariza seems to completely ignore how terrible Pacquiao looked in the first two fights with Marquez, both of which many fans saw Marquez winning. It really didn’t matter that the fights ended in a 12 round draw and 12 round split decision, Pacquiao struggled badly with Marquez’s counter punching and boxing ability. Freddie Roach, the trainer for Pacquiao, likes to point out that Pacquiao didn’t use his right hand much in those fights because he didn’t know how to. However, Pacquiao still looks very beatable even now that he’s using his right hand. Pacquiao has been looking good against guys like Ricky Hatton, Miguel Cotto, Oscar De La Hoya, Antonio Margarito, Shane Mosley and Joshua Clottey, but each of these fighters were either coming off of losses, were old or just made to order for Pacquiao. Marquez isn’t shot and while he’s getting up their in age, he still seems to have more than enough talent to last the full 12 and give Pacquiao a lot of trouble. I think Ariza is way off with his prediction, and I think instead of a knockout win for Pacquiao, we could see another fight where Marquez once again dominates Pacquiao, wins most of the rounds in the eyes of boxing fans, yet is forced to settle with a controversial 12 round decision loss. That’s about the best I can see for Pacquiao in this fight. 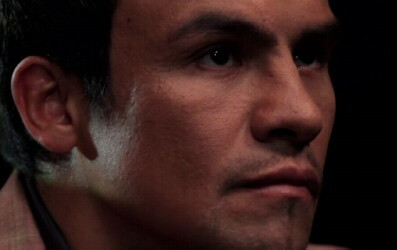 There won’t be any knockouts from either fighter, and the more skilled guy will once again be Marquez.